Dental implant is a screw, which is placed into the upper or lower jawbone as a replacement for the root of the lost tooth. It is an “artificial” tooth root made of titanium. Titanium is used because of its biological neutrality, which is very important for the bone tissue to osseointegrate with the placed foreign object. One should differ between an implant and a post. While an implant is placed into the jawbone as a replacement for the root, a post is placed into the root of an existing tooth in order to elongate it if it is too short for the placement of a dental crown. Restoration of a gap in the teeth row by placing a dental implant will prevent deterioration of jawbone and increase stability of all the teeth in the row. Placement of a dental implant presents a solution for life because once an implant is placed it becomes one with the jawbone after the osseointegration. Dental implant ensures impeccable stability for the new dental crown which is placed on the implant and afterwards it feels like a natural tooth. By placing dental implants we can restore lack of one or more teeth. Dental implant has the role of crown support if only one tooth is missing, i.e. bridge support if more teeth are missing. Besides, placement of a dental implants is a far better solution if only one tooth is missing in comparison to a restoration with a bridge, since it is not necessary to drill the healthy neighboring teeth, which serve as anchorage for the bridge. 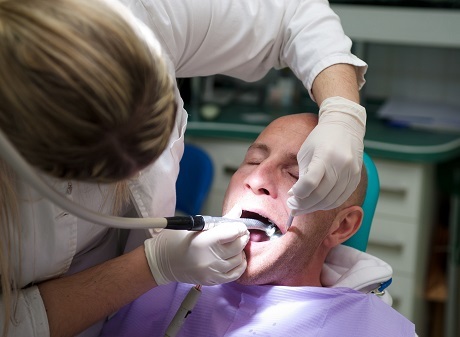 There is a great number of dental implant manufacturers worldwide. The prices of dental implants vary depending on many factors, all of which should be taken in consideration when choosing an implant. Everyone must decide for himself what is the most important for him/her, but one should be very careful since the cheapest dental implant does not necessarily mean that it is the best bargain. Complications arising from placing a cheap dental implant of poor quality one can end up costing more than an expensive dental implant of better quality. When choosing a dental implant one should take into consideration whether the manufacturer has conducted all the necessary clinical trials and has earned quality certificates. Without clinical trials we cannot be sure that the dental implant complies with the minimum health conditions and that it possesses the characteristics described in the manufacturer's documentation. You should try and choose a dental implant with quality certificate, attached results of the clinical trials, certificates and a written warranty. The warranty should be valid for at least 10 years, but lifetime warranty is still the best solution, especially for younger patients. 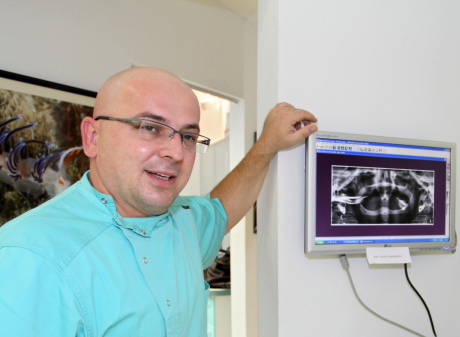 Dental Studio Vukic gives its best to provide only the best services to its patients, as well as only the best materials modern dentistry offers. That is why we only place Astra Tech, Nobel Biocare and Straumann dental implants. These implants are made of best quality titanium and are one among the rare in the world to offer a lifetime warranty. They have been submitted to detailed international studies and have a certificate from all the relevant world's regulators. Placement of dental implants should not be done by any dentist. Experience and special skills are inevitable for successful placement. Although it is not legally binding, it is recommended for placement to be done exclusively by an oral surgeon, who has completed the special professional education for placement of dental implants. We recommend you to consult a dentist, who possesses all the necessary skills and enough experience in placement of dental implants.